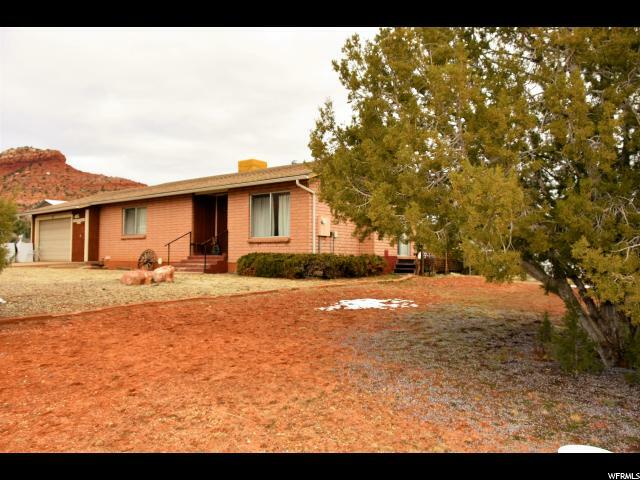 All Kanab homes currently listed for sale in Kanab as of 04/24/2019 are shown below. You can change the search criteria at any time by pressing the 'Change Search' button below. 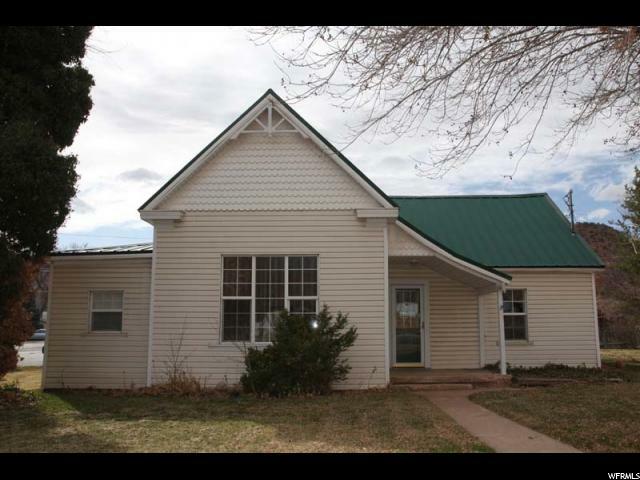 If you have any questions or you would like more information about any Kanab homes for sale or other Kanab real estate, please contact us and one of our knowledgeable Kanab REALTORS® would be pleased to assist you. "This corner lot home is located in the desirable Kanab Creek Ranchos with Red Rock Mountain Views, has an extended 2 car garage as well as a Boat/RV parking & 2 sheds. There is a fenced garden area, peach & Nanking cherry trees, & almost 3/4 acres of a land. The basement is large with lots of storage and room for a 3rd bedroom w/built in closet & window." "Get cash flow now and enjoy price appreciation as Kanab's growing downtown expands to this high visibility Highway 89 corner lot with Commercial Zoning. Successful nightly rental with proven income track record. Great reviews on Vacation Rental By Owner. Historic home remodeled with modern upgrades. New locally sourced sustainably harvested wood floors. Fully equipped kitchen. Claw foot soaking tub and shower in bath. HDTV & Internet enabled blue ray player. Four poster King sized memory foam bed, Full bed with pillow top. Study with full futon - sleeps six comfortably. Carport and asphalt surfaced parking for 6 vehicles."